Aviation fleet management is a challenge. Making sure your crews are equipped with all of the information they need to complete their mission is where safety begins. Whether you’re flying to North Sea oil platforms, delivering time critical freight in the middle of the night, running a fleet of drones for agricultural surveys or simply standardizing the pilots at your flying club, getting the right information to your pilots in an easily shared and timely format has always been a challenge. That is, until now! Air Navigation Pro is pleased to offer a new tool optimized for aviation fleet management—our Air Navigation Manager Service. This is an innovative solution for aviation fleet management of any type, from small flying clubs with just a couple of airplanes to larger commercial operators flying in highly complex environments. Through the Air Navigation Manager Service, your aviation fleet management staff can deliver critical information to your pilots through a single company resource. You’ll be able to synchronize maps, documents and other types of data instantly to all of the iOS devices used by the members of your company or group. Create and share waypoints: Share your created waypoints wirelessly to any device. Need to mark a Temporary Flight Restriction for your pilots? Do you need to send a series of waypoints for aerial survey work? It is easy with Air Navigation Manager Service. Create Airspace: This is especially useful for flight schools and other organizations that need to define operational boundaries. Perhaps you want to designate a practice area for your instructors and students—with the Air Navigation Manager service, aviation professionals can now create custom airspace areas and share them across devices with ease. Aircraft Profiles sharing: Using the Air Navigation Manager, aircraft profiles can be shared seamlessly with the other users of your Air Navigation Manager data. Plugging in a new aircraft is a pain point for busy pilots. With the Air Navigation Manager, pilots can access each individual aircraft’s profile with ease. These profiles can be managed by aviation flight managers, making for a more standardized and safe operation. Route sharing: Do you have a great sightseeing route that you want to share? What about a safe route around weather or terrain that you want your pilots to utilize? It is easy with the Air Navigation Manager Service. Just two clicks and the route is visible on any device. Send documents: Document compliance has never been easier if you use the Air Navigation Manager service. New and revised documents can be sent with a simple click. Aviation fleet management personnel can now be assured that safety critical documents are being received by their pilots in a timely, easy to use fashion. Create obstacles: Aviation flight managers have to ability to mark obstacles and share them with other group members using the Air Navigation Manager. This is another feature that is especially useful for flight schools and helicopter operators; when a potential hazard is identified, it can be shared easily to all of the devices in the company. Manage Air Navigation Pro add-ons: Account management is a breeze when aviation flight management staff use the Air Navigation Manager service. When maps or add-ons are purchased for each device, they can be easily viewed through Air Navigation Manager account. This allows for professional document auditing and chart standardization that was previously only available through more expensive and complicated subscription services. Now, large airline quality document and chart management is available to companies and organizations of any size—in the form an intuitive and easy to use Air Navigation Manager service that is unmatched by any of our competitors. Getting acquainted with Air Navigation Manager is easy. First, go to http://manager.xample.ch/home. Next, scroll to the bottom of the screen and click “Demo.” You can log in with your normal Air Navigation Pro login—there’s no need to create a new login for Air Navigation Manager. The free demo will allow you access to all of the features for 30 days. After filling in basic company information, you can now link Air Navigation Pro to Air Navigation Manager on your device. You don’t need to download anything new! Just open Air Navigation Pro on your device and go to Configuration > Tools > Air Navigation Services and ensure that your account is logged in (NOTE: logging in is now easier via the QR code if you are sitting at your computer). After, select Air Navigation Manager to link your device to your Air Navigation Manager account. It is that easy! You’ll notice that once you log in to your Air Navigation Air Navigation Manager account, step-by-step instructions are provided. Once you’ve created your group, you can now select your group and begin adding users. To add users, simply use the Invite field at the top of the page. The owner of that email address will receive an invitation to join the Air Navigation Manager network. 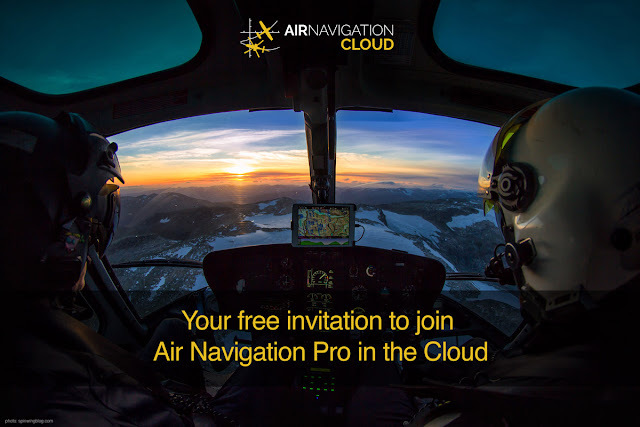 Please note, added users will require an Air Navigation Pro login (not a paid subscription) to use the data and add-ons on Air Navigation Manager. Notice that aviation fleet management personnel can assign who manages the account and the data. This adds another layer of flexibility to the Air Navigation Manager service. Aviation fleet management personnel have the ability to manage multiple accounts from the Air Navigation Manager platform. Information in Air Navigation Manager for each account is strictly private—it cannot be accessed by unauthorized users. This means that not only is your data available for use to the people who need it, it is hidden from people who do not. The Air Navigation Manager offers unparalleled data storage, sharing and account management solutions for aviation fleet managers at companies big and small. The Manager offers a scalable standardization tool that is right for the smallest flying club to larger corporate and commercial operators. Try it out today!